What’s are your 2 Verbs? Now if you know me, asking me to limit ANYTHING to two words is like asking the wine connoisseur to choose her favorite Merlot, or the book buff to identify their favorite read of all time. Nevertheless, I courageously turned the paper sitting in front of me over and proceeded to draw an upside down triangle. On the top I scribbled the word clients, under that I wrote FRONTLINE, and then down at the very bottom (the top of a normal triangle) I spelled SUPPORT. In my younger years leadership, entrepreneurship was all about autonomy and control. I was young, unconscious and highly motivated by autonomy, the desire to please and be recognized. I desperately wanted to be in the front. Unfortunately, back then leading was more about my insecurities than unleashing and liberating others. Back then I was leading for all the wrong reasons. After years of navigating white water, my ego was smoothed like river rock. Slowly but surely I came to discover a truer truth about leading. Inspired by the likes of Gandhi, Mother Teresa and yes even Jesus I found a way of being and leading that was more congruent with who I had become. Serving is a practice. A commitment to show up; hands, heart and feet ready to …be of service. My earliest work experiences were in hair salons and retail outlets. I served coffee, cleaned hair out of brushes and vacuumed floors. This was back in the day when women visited the salon weekly and could get a perm for $8.00. My best friends were silver haired senior citizens, they came to the salon regularly, drank A LOT OF coffee and taught me how to engage, how to be comfortable relating and how easily strangers became friends. Over the years my passion to engage, talk, relate, my curiosity has led me to view leadership as a practice of engagement. As I see it, my job is to show up, serve and orchestrate an environment where others retain maximum autonomy, engage their individual gifts, talents and passions in a collaborative pursuit of purpose and meaning. So what 2 verbs describe your leadership, being style? 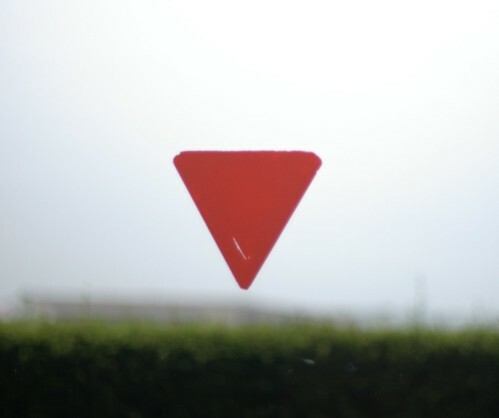 Photo credit from Flickr Floating upside down triangle…, originally uploaded by dvent.